Gaelic spelling is "Port Asgaig", but the derivation of the name is probably from the Old Norse for "ash tree bay". 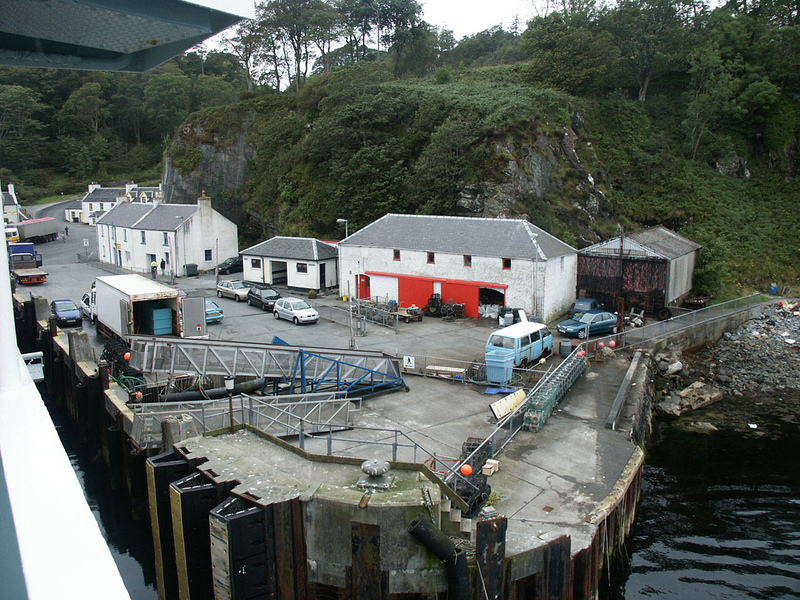 Port Askaig is one of a few small bays on the Sound of Islay (Caol Ila and Bunnahabhain distilleries occupying two of the others). The Port was accessed via the original gap in the cliffs by a steep road, the available land has been considerably increased since 2004 when a considerable portion of the cliff has been blasted away to make room for a better queuing area for the ferry and a less steep access road. 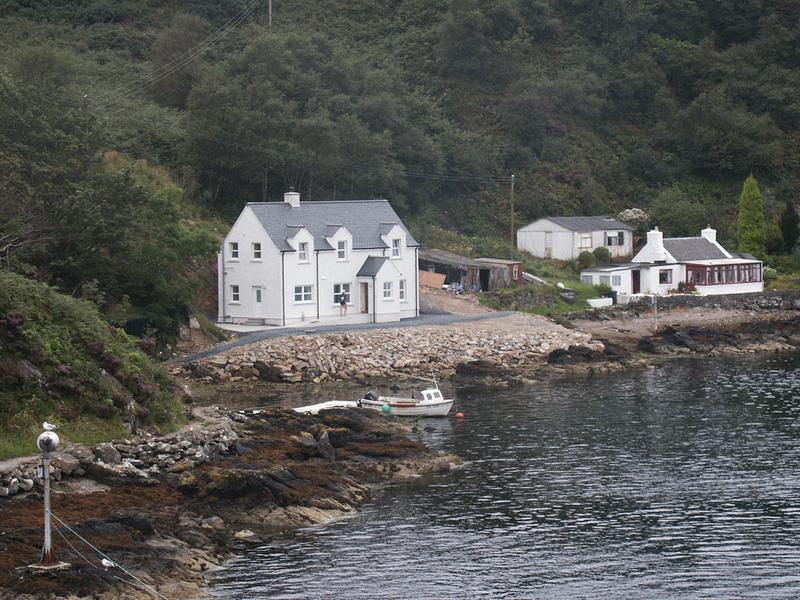 Port Askaig has been a destination for ships from the mainland since the 1700s and the Inn that is now the Hotel has been there even longer. The Inn was originally a drovers Inn, cattle being taken to the mainland via Jura, whether the strong tides of the Sound of Islay would have permitted the usual practice of getting the cattle to swim across seems doubtful and boats would probably have had to be used most of the time. The village of Keills has a late medieval ruined church dedicated to St Columba, close to the ancient seat of the Lords of the Isles at Finlaggan. Port Askaig itself doesn't have a distillery, but Caol Ila is half a mile away (by sea, three times that by road) and Bunnahabhain about 4.5 miles away, again a little less by sea. The hotel has an extensive range of whiskies. Port Askaig, in common with several other parts of Islay without a distillery, has a whisky named after it - in fact a range of whiskies from the Whisky Exchange currently a 12yo, 17yo at 45.8% (which is 80° Imperial proof) and cask strength 19yo and 30yo. 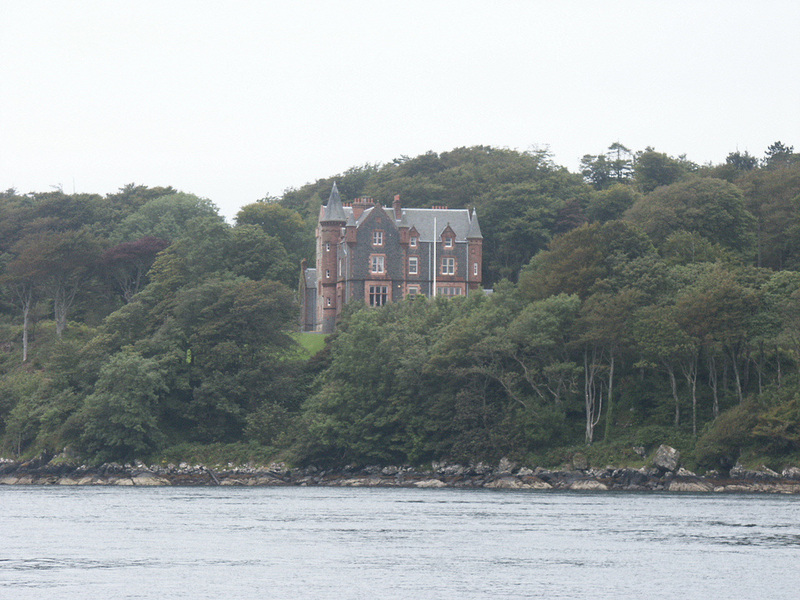 Port Askaig is served by CalMac ferry from Kennacraig (timetable Winter Summer). Getting to Kennacraig? - see main Islay page. 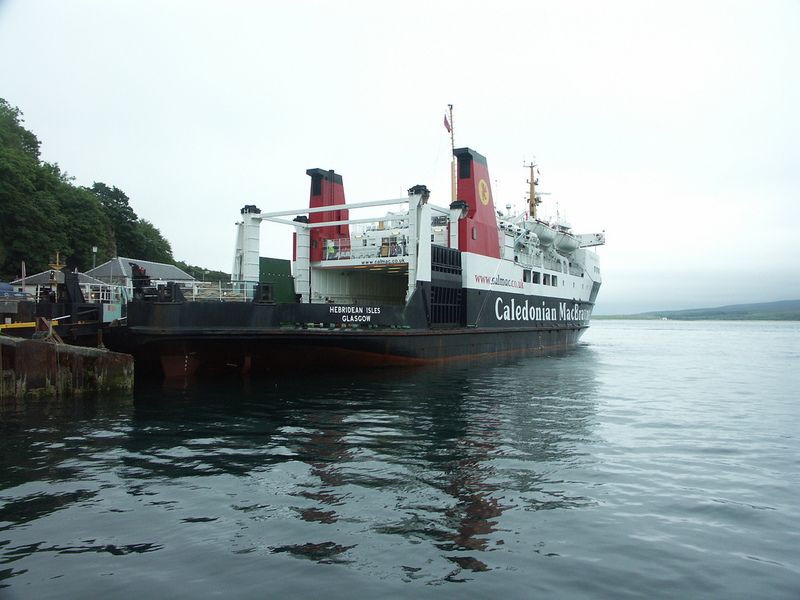 There's also a weekly sailing to/from Oban/Colonsay - Saturdays in Winter/Wednesdays in Summer. 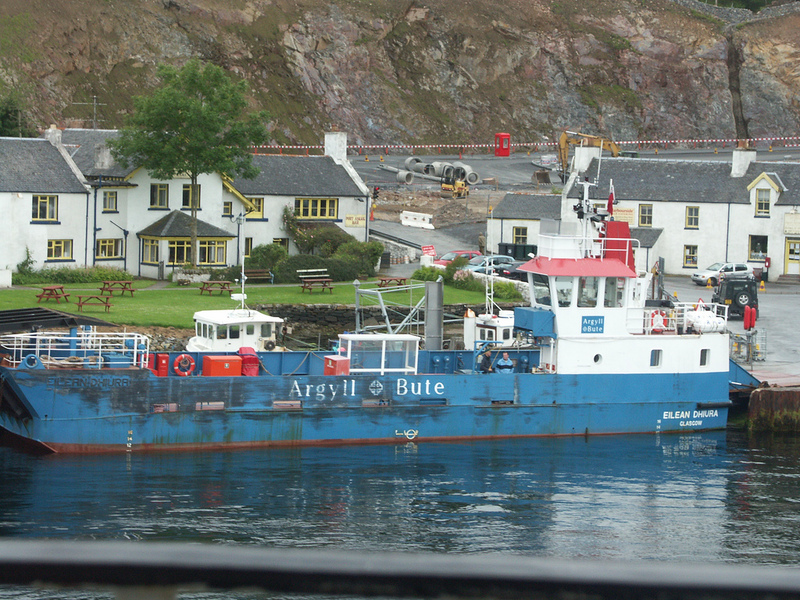 Port Askaig is also the port for the short crossing of the Sound of Islay to Feolin Ferry on Jura.operated by ASP Ship Management on behalf of the Argyll & Bute Council - Winter/Summer timetable. 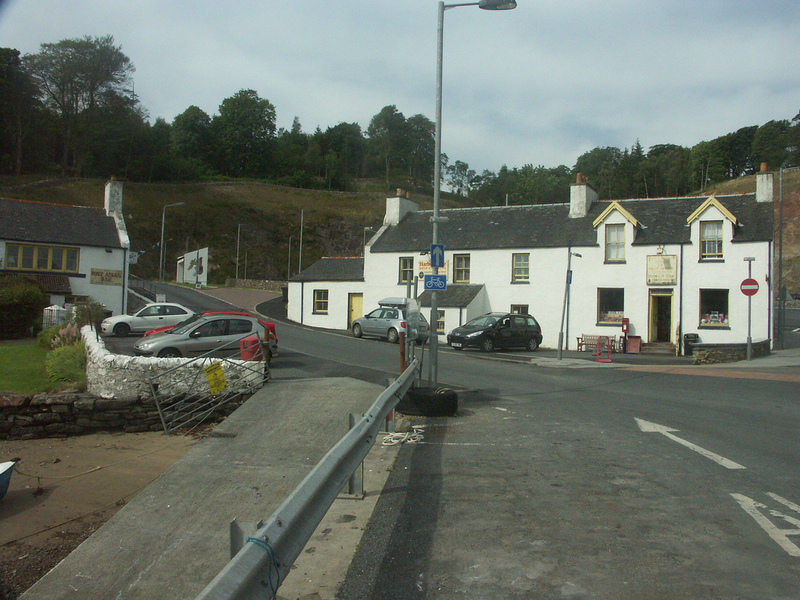 The oldest licensed premises on Islay, there's been an Inn on the site since the 16th century. They also provide Self Catering cottages, and are home to Persabus Pottery. 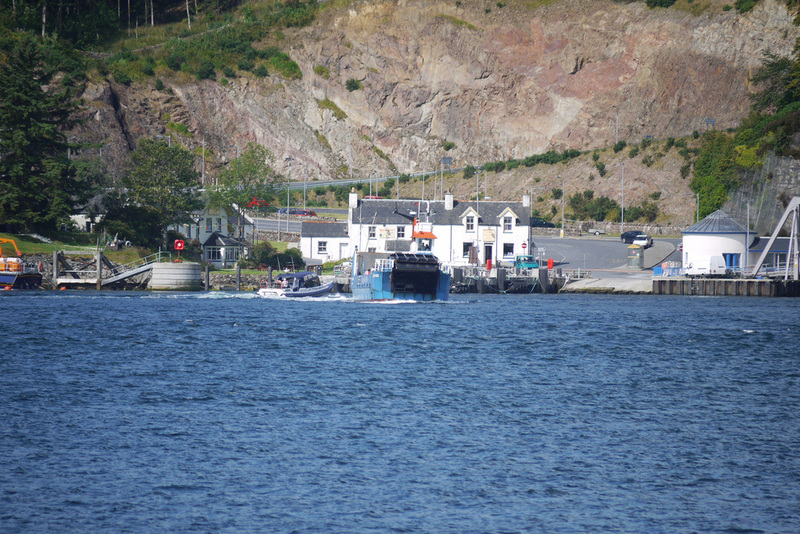 Run from the Port Ellen Boatyard in the Business Park (behind the White Hart Hotel). Not a shop as such, but hire, sales, accessories and repairs available - see website/ring for further details. Brian Palmer describes himself as "the only cycle repairer and spare parts person in Bowmore", and can be contacted via Catherine MacTaggart who hires bikes from Bowmore Post Office (01496 810366). Check PO Branch finder (search for postcode PA46) to check opening times - currently Mon - Sat, but mornings only on Mon and Sat. Banking - Bowmore RBS, Main Street; BoS, Shore Street. Cash Machines at both.